Excellent communication and follow through are added bonuses to the professional service and effectiveness of pest control in my home. Service operator very polite and very thorough. Asked if I had any concerns. I said that spring would be here before the next Insight service date, and ants would be active. She was happy to add a second layer of ant protection to what she had already done. 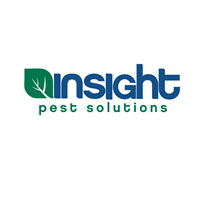 We are VERY happy with Insight's professional-ness and products. The technicians who came to my house/property were all different and all very knowledgeable. They knew their business, IMHO, and that is what counts as far as I'm concerned. I appreciate the scheduling of their appointments ahead of time, and at my convenience. All in all, I'd say I'm quite happy with their service. Your representative is very courteous and performs his duty in a very satisfactory manner. Good customer service and always show up when they say they will. Treated for moles. Came back a few days later to leave me some glue traps and do some additional mole treatment. If my memory serves me well, we have been using Insight for the last six years. Insight always comes in time, does outside work without any bother, never forgets to ask if there are any special problems, takes care of them whenever we ask them, and we are free of pests. There may even have been cases in which we have called Insight for special problems, in which case the problem has been taken care of promptly and effectively. I am happy with its service and would recommend it. Great Service, would greatly recommend! No bugs. Happy homeowner! We don't have to be here for the professional service, just a courtesy call to say they are coming. Only a very occasional insect. That makes me very happy. Especially not seeing any spiders. One is too many!!!! Good job. Unobtrusive and effective. Randy introduced himself and asked if we had any problems. Then he proceeded to treat around our home at the base and the gutters . He let me know when he had completed the job. The service is great. The staff is very friendly and offers advice on what to watch for/when to call for any problem pests. Glad we found InSight.